Phantom flower "Blue poppy of Himalayas" 'Mekonopsis' has flowered! 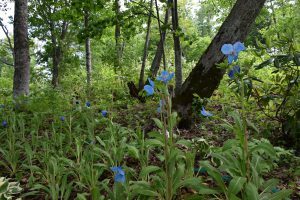 In the garden of the heavy snow forest of Kamikawa-cho, Hokkaido, the meikonopsis is currently blooming. Mekonopsis is a flower blooming in a highland such as central Asia, so it is called "phantom flower" because it is blooming mainly in highland Himalaya, so-called "secret borders". 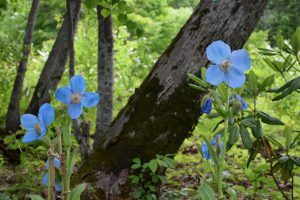 It is a very difficult flower growing that the temperature can only grow at 28 ℃ or less, but it is a very beautiful blue flower that makes use of being a cool land that can be cultivated because it is a garden of a heavy snow forest of altitude 650m. Currently we cultivate the 2 varieties of Mekonopsis · Grandis and Mekonopsis · Betoniki folia in about trial and error. June 2 Three day appearance 15 rings are blooming, and there are still many buds, so it will be an area that will be seen from now. There are not many places where it is possible to see only this meikonopsis. 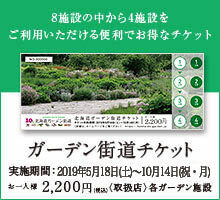 It is the only garden in Hokkaido Garden Highway. Please take a look at this precious flower with a sense of transparency.